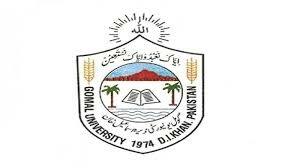 DI Khan, Gomal University DI Khan has started the admission process in the BS programs. The candidates, who applied for admission in the Gomal University BS programs, they appeared for the written test and the interviews and now the final merit list has been issued. The candidates are asked to check their GU BS programs merit list for 2018 with the complete updates and for the information of the candidates. The candidates can download the challan forms and they will deposit the admission fee in the bank till the due date of 17 October 2018.